My friends received an apple cider press for a wedding present long ago and invites us all over to make apple cider with the press. WOW! The cider has a pure, refreshing flavor that’s hard to beat. Have you ever tasted apple cider fresh from the press (your own or a local cider mill)? The difference between the taste of pasteurized, filtered grocery store cider and homemade cider is remarkable. With the cider press, we’re talking 30 seconds from press to glass. For the uninitiated (formerly, yours truly), an apple cider press is a machine that essentially grinds up the apples into pulp and then presses the juices out. In colonial days, it was common for farmers and families to own a barreled cider press (and in those days, the cider was often left to ferment and become an alcoholic “hard” cider). Today, I have a feeling that the old-fashioned cider press is becoming more popular again, perhaps because more people are planting fruit trees. Start with a wheelbarrow of apple drops (fallen apples). You need a good amount of apples to make cider. Approximately 30 to 40 apples will yield one gallon of cider. The apples need to be as ripe as possible. It’s fine to use less-than-perfect apples on the ground at any orchard or old apple farm. Discard any rotten ones, though. Spoiled apples cause the juice to ferment too rapidly. Blast the apples with a hose to wash them off. Now you need to grind up the apples. Some presses come up a grinder. Feed the apples into the hopper. Turn a cast iron wheel to grind the apples. The wheel is attached to the grinding shaft which quickly and easily chops up the apples. The apples fall into the tub below. A big press screw is flowered onto a wooden pressing plate. Turn the pressing plate down on the pulp to free up the apple juices which flow into a container below the press. Once all the juices are pressed out, empty the leftover pulp into a bin. Then, grind up more apples and press again! The juice quickly oxidizes into a rich amber color. Some apple “froth” forms on the top which can be skimmed off. * If you are concerned about pasteurization before drinking, just heat the cider to 160-degrees for about 6 to 8 seconds. After pasteurization, cider can be frozen for longer storage. Add some cider donuts, and you’re in heaven. What a fun time! Cider pressing is a great occasion for friends and family to get together on a fall day. The kids—of all ages—had a blast cranking the press. If you have the inclination, find (or make) a cider press and throw your own autumn harvest party next year! Anyone else a cider fan? Or, own a cider press? Have any questions or comments? Just post below. Hey there, we have been pressing our orchard apples and there have been swarms of bees. It’s impossible to figure out where on our land they are coming from. Any recos or strategies for keeping them at bay? Of course, the bees are important for pollination. However, once the flowers are gone (containing nectar and pollen for food), bees will look for any sugars or sweet substances such as the apple cider! If it’s truly a swarm, you have a hive nearby. The hive might be overcrowded which produces swarming. Or, the bee hive is sub-dividing and you’ll see a lot of bees for a day or two while they look for a new home. They’re not generally aggressive. To reduce swarms in orchards, it’s important to pick up damaged, dropped, or overripe fruit.This fruit should be collected regularly and discarded. Finally, when you press cider, there’s always going to be some bees! Just watch out for them in the collected cider and don’t swallow any! We just used one type of apple out of convenience and it turned out beautifully. However, a great cider often has a mix of apples that are both tart and sweet varieties. You do NOT want to just add water as that will make the cider less sweet, but also thinner or more watery tasting. We’d suggest you top of the cider with pure apple juice. Just take a sample first and test it out to see if you like the taste. Also, if you happened to heat your cider to kill bacteria or put yeast in it, that also adds to the sweetness so you’d definitely need some tarter apples in the future. Just avoid too much tartness or it will be quite acidic. I grew up less than a mile from Elbridge Gerry's Cider Mill in Lynnfield, Mass. We used to go there and fill our glass from the wooden sluice from the press. I believe the stems and the occasional wasp gave it a character not to be found in commercial Cider today. I was blessed with knowing a gentleman of big and kind heart who loved to talk and visit. We shared gardening ideas and how to care for fruit trees and garden tom's. Before he passed, he knew I made jams and jellies and made lots of apple juice in the kitchen. He said, "I have something I want you to have, cause I know you will take care of it and use it; I don't want it to go on the auction block and be sold to someone that will not take care of it, and my children won't ever use it." His kids are adults. :) He pulled out this big thing wrapped in plastic, and it was his apple press; so honored was I. I have used it and in my research to make cider, I used the internet and found that most of the East Coast apple growers, say NOT to use the apples on the ground if you wish to make cider, cause the enzymes in a wasp that is transferred in to the apple will react on the cider and turn it into vinegar....? So I use right off the tree apples and have had great success. What an honor, indeed. Thanks for sharing this memory—and so eloquently. According to experts, it is fine to harvest apples off the ground. This is the practice with many farms. Apples on a tree are just as vulnerable to wasps as apples on the ground and there are many more vectors of acetobacter than wasps. Hi. I have made cider 3 years now in Calgary. I was wondering if the "mast" as you call can be used for anything else? Like vinegar or jelly? The mash is used for the pigs. I've never known another use for it, but welcome reader comments! I have used the mash to make apple butter. Yum! I don't have a question just wanted to say that my mom has and we still use my great great grandfathers press. It really is quite awesome I remember my Uncle having it as a child and we used it at his house a lot then my mom got it when he passed away and we used it last year and will be again this year as long as we can all get together. To see something that old in operation today is quite a thrill for the children of today. Where does one purchase an apple cider press? Where I live, we all anxiously await the opening every autumn of the Lilly Orchard, a "store" on the grounds of the old Eli Lilly apple orchard in Indianapolis (now a private school). They not only sell fresh apple cider, but also apples-on-a-stick and all varieties of apples. Although most of the cider is commercially prepared and pasturized, every weekend they bring out their old cider press for fresh apple cider. I was told that the "fresh" cider last only 5-7 days, whereas pasteurized cider lasts up to three weeks. By the way, does anyone know exactly how apple cider is different than apple juice? Hi, Ann, "apple juice" is heavily filtered and thin, often from concentrate, and usually uses sweet but bland apples. Fresh apple cider (vs commercial) is totally unfiltered and unpasteurized; the taste will be sweet but also full-bodied with a more complex flavor. Of course, the best part is that it's fresh! In my experience, really fresh apple cider as you describe here is comparable to fresh squeezed orange juice (as opposed to concentrate or even Tropicana). A treat. What fun! What is the ratio of apples to juice—how many apples to get how much juice?? Hi, Janice, I've had limited experience but I'd say approximately 35-40 regular sized apples (1/3 of a bushel) give you a gallon of cider. yum! what do you do with all that extra pulp? I've been making cider on a farm for years. 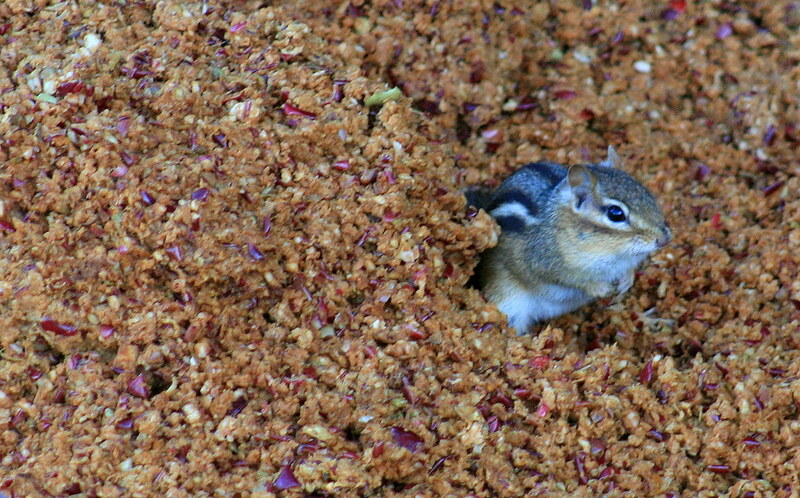 Our left over pulp becomes chipmunk fodder. Is a 'juicer machine' the same as a press? I make apple juice from this machine and it's great! Our friends gave it to their 4 pigs; they just started raising pigs, too. Another story!